Results for "Positive Cultural Identity"
How can I tell if someone is using drugs? This factsheet provides information that can assist readers in recognising the signs of drug use. 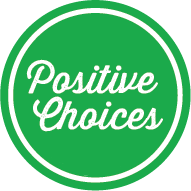 Have a positive impact on your teenager’s choices. Read this factsheet for some deadly activities families can do together. This comic-book style app focuses on the decision-making process involved when confronted with drugs and alcohol.